Free In-Home Consultation with a Nurse! If you have home care questions and want to explore your options, a Free, No-Obligation, Consultation with a Nurse should be your next step! 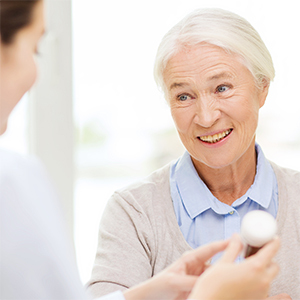 At Retire-At-Home in Toronto West, East York and North York, we understand how challenging it can be to make decisions on home care, whether its for yourself or a loved one. Knowing what questions to ask, and understanding how home care services can truly improve your life is a big challenge. That is why we always start with a free nurse consultation to discuss with you the information you need. Our goal is to help you understand your options and for our home care professionals to gather the correct information we need to properly develop a care plan that is best suited for your medical needs, personal preferences and budget. Whether you live in your home and need help around the house, currently in the hospital and ready to go home, or if you live in a retirement home, our Nurse Case Managers will visit you to discuss your questions and concerns. When can I book this Consultation with the Nurse? We can schedule your nurse consultation as soon as you are ready! If you have an urgent need for help, we can often conduct our initial consultation within a few hours! We can typically start providing your care in less than 24 hours, and often times start on the same day if its required. If you are not in need of immediate help or you are planning ahead, we can schedule the consultation at your convenience, days or weeks ahead of time. Perhaps you would like to book it when there is family in from out of town. We will work with you to find the most suitable time. Evening and weekend consultations are possible. We will do our best to meet you, even outside of normal business hours. What is discussed at the Free Consultation with the Nurse? The initial meeting is usually an hour in length, but there is maximum time and you are not charged for longer meetings. Our home care specialist takes the time to hear about you and your family and all aspects of your health and home so that a customized care plan can be designed that takes into consideration your medical needs, wishes, and monthly budget. It is important to have a completely open talk with the nurse during this consultation ensuring she understands the whole situation and can truly customize the right plan for you. Your personal information and emergency contacts. Your medical history, current medical needs, medications and treatments. Your home environment so that your home support needs and safety are dealt with properly. Your personal wishes about the type of service you want (i.e. days of the week, personality of the caregiver, etc.). Your monthly budget and the costs of the recommended or needed services. Possible subsidies that may be available. Possible start times and dates of the service.